This Weeks Run 2177 on June 10th at 1730 "Another Bullet from Rick O'Shay!" Bahrain Hash House Harriers This Weeks Run 2177 on June 10th at 1730 “Another Bullet from Rick O’Shay!” From Mena Salman head towards Saudi Arabia on the Sheikh Isa highway, at the Sitra flyover take the right-hand lane and exit right along the Kuwait Avenue, at the third set of traffic lights turn left and look for signs. The 4th of July Neighborhood Crawl!! 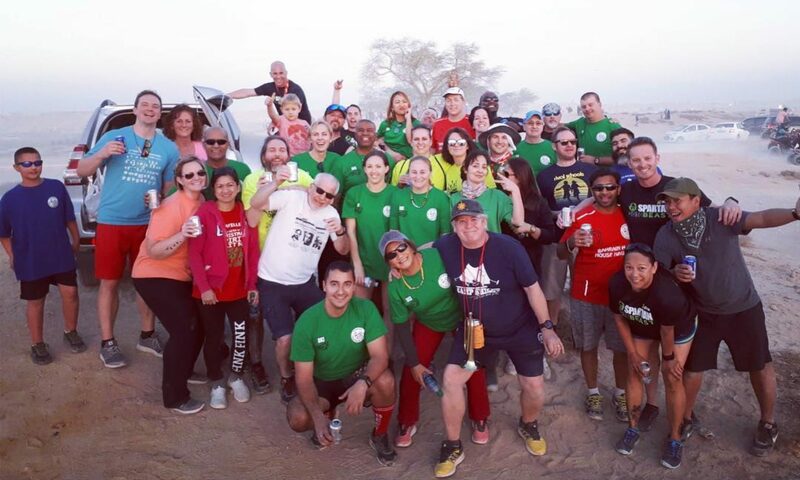 The neighborhood Crawl is a casual, sociable crawl through parts of Juffair you may never have previously experienced (at least not at this casual, sociable crawl pace!). To alleviate thirst, we stop at five to six kind hosts for refreshment along the way. Important Note: This event is limited to the first 50 participants that pay. After reaching the magic number of 50 participants, all additional monies received will be returned. Dinner & beverages at the last stop. A lot of fun, camaraderie, and all that stuff that goes with being a part of such a great group.